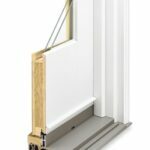 Patio doors, French doors, sliders: What are the differences between these? Patio doors are manufactured in single-pane and multiple-pane varieties, in-swinging, out-swinging, and much more. 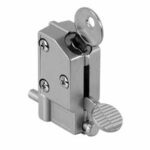 The primary difference between sliding and patio doors is that sliders glide and patio doors swing. A sliding door typically has one fixed panel and a matching panel that slides sideways in top and bottom tracks. The term “patio door” usually refers to a pair of doors that has at least one hinged panel and one fixed or hinged panel. Doors swing either inward or outward, depending upon the type you buy. 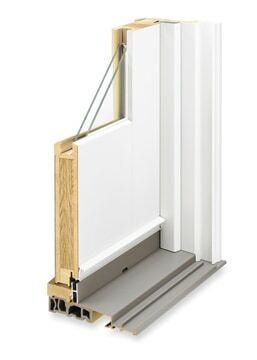 Closeup of door construction shows how the various components are designed to interlock and provide energy efficiency. Sometimes a patio door is called a French door. The term “French door” usually refers to a pair of glazed patio doors that hinge at opposite sides and meet in the middle; when you open them both, they create a large entryway. Sliders and patio doors are sold as a complete system that includes the jambs, threshold, and all necessary weatherstripping. 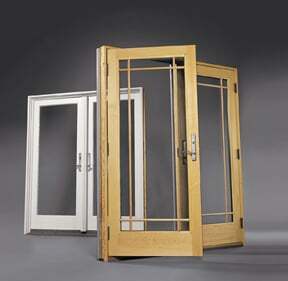 The doors interlock for energy efficiency and the hardware is designed as part of the system. Not all French doors are meant for exterior use—interior French doors are made specifically for adjoining one interior room to another, offering separation when closed or generous access between rooms when open. Any standard interior wood can be mounted in a double-wide jamb to create an interior French door. 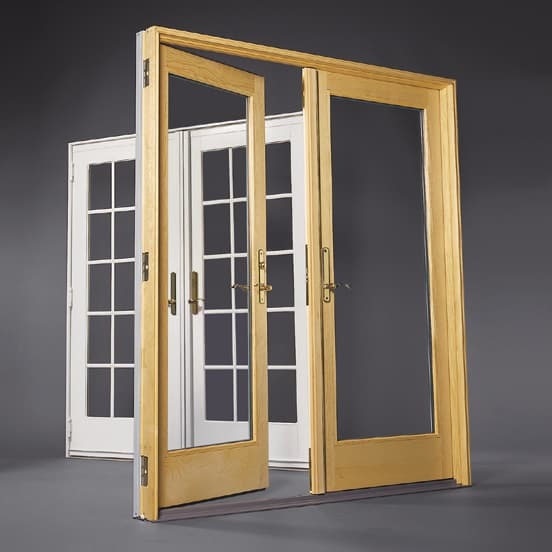 True classic French doors have multiple glass panes (called “lites”) divided by wooden muntins. 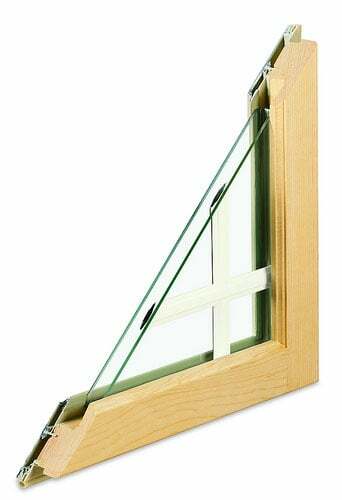 A true divided lite means that each pane of glass in the construction of your door is built in separately. For example, if you order a 10-lite door, it will be built with 10 separate lites inserted independently. Grilles for divided lites are inserted between glass panes, making window care a breeze. Decorative grilles give the doors in front a Craftsman-style divided lite appearance. Door in back are single-pane. 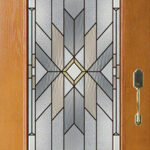 You can still buy this type of door for a premium, but most manufacturers sell more doors with faux divided lites. These have snap-in wood grilles or grills placed between the panels of dual glazing (see photo at left). 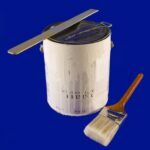 They imitate the look but are less expensive to make and are easier to clean than true divided lites. Some grille configurations create an evenly-spaced gridwork of lites in pairs: 6, 8, 10 or 12 lites. Others stack horizontally-shaped panes, yielding 4, 5, or 6 horizontal lites. Still others divide the glass into interesting patterns or designs that imitate certain architectural styles, such as Craftsman (see photo at right). Most companies have a minimum door width of 16 inches and a minimum door height of 60 inches. Any variations have to be custom-made at greater expense. The thickness of a door typically is either 1 3/8 or 1 3/4 inches. In addition to the standard 6-foot-8-inch height, doors are made 6 feet, 11 inches tall and 8 feet tall. You can also buy three- or four-door-wide configurations that run up to about 16 feet wide. Newer high-end sliding doors can actually curve around a 90-degree angle. Some door sets come with windows at the sides (“side lites”) or windows over they tops. Most manufacturers make matching rectangular and circle-head transom windows.